Botan takes Yusuke deep into the spirit world, where the dead are being classified according to their accomplishments in the human world. They enter a sacred place, or lets just say the office hall to meet with the king of the spirit world, King Enma Daiou. But instead, they meet a baby-like person with a pacifier on his mouth. He introduces himself as Koenma Daiou, prince of the spirit world, and was in charge of his revival process. After some confusion on Yusuke's part Koenma presents him a golden egg, which he claims to have the powers to revive him. But in order to successfully be revived he must take care of the said egg with his utmost love.. or it will turn into a monster that will eat him for life. Things were going on smoothly before Koenma delivers the fact that his body must not be buried in order for him to be able to return. Alarmed, Yusuke asks Botan on how his body could be preserved. She tells him that he must tell his loved ones the process so that his body wouldn't be buried through their dreams. His mother was his first choice, but she was totally drunk, so he decided to tell it to Keiko. However since it was a dream they did not believe it, and Yusuke must find another way to tell them the news. Botan tells him that he could possess a human body and tell the matter to Keiko personally. However, he wasn't left much of a choice but to possess Kuwabara, much to his dislike. Possessing his mortal enemy's body Yusuke starts to find Keiko, and despite running through some fights, was able to find her. However he needs to convince her that he is Yusuke in Kuwabara's body, so he gently tapped Keiko's behind as only Yusuke would do to her. 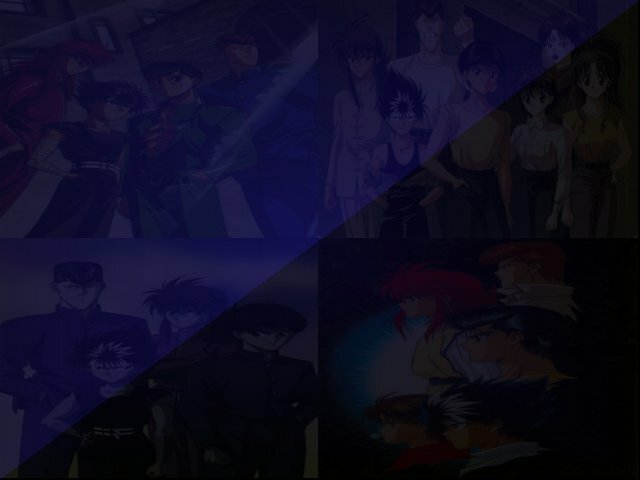 Keiko slaps him, but realizes he is not Yusuke. However Yusuke explains everything and Keiko understands, and at the last minute hugs Yusuke (in Kuwabara's body) as Yusuke's soul was about to separate. Now Kuwabara regains consciousness and finds Keiko hugging her, which he totally takes advantage of... and eventually gets countered by Keiko with a deadly slap. At night Keiko informs Atsuko about not burying Yusuke's body, and where stunned by the fact that Yusuke's heart has not stopped beating.. just yet, as the episode ends.